Cláudia Pina Medina was born in Montcada i Reixac on 12 August 2001. 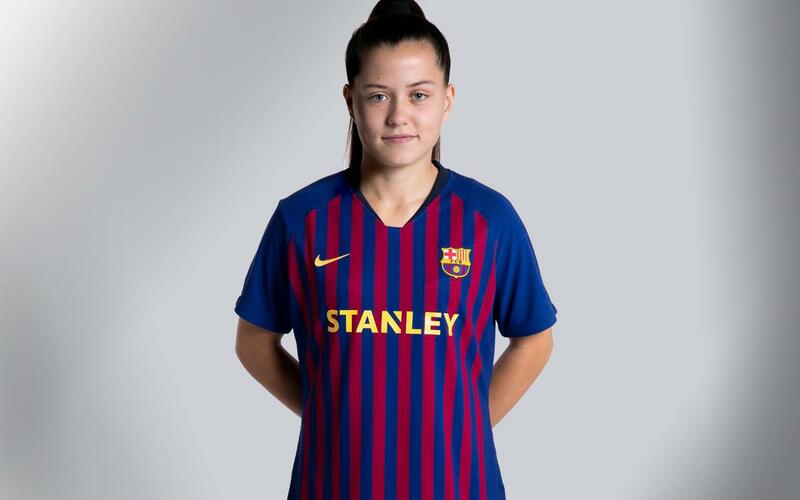 In the 2018/19 season she joined the Barça Women first team at the age of just 16. Pina began her career playing futsal and in the 2010/11 she signed for Espanyol where she stayed for two seasons. From there, Pina joined Barça U12s where she began to attract attention. Pina made her debut with Barça Women on 14 January 2018 in a league game against Zaragoza, coming on for the final 5 minutes in a 2-0 win. The Catalan striker, despite her youth, has been named UEFA top goalscorer in 2017 with 16 goals for the U17 team, being the only player to score 7 goals in a game – against Montenegro in the European U17 championships. The 2017/18 season saw her make her debut with the U20 Spanish side in the World Cup in France alongside her team mates, Patri Guijarro, Candela Andújar and Aitana Bonmatí.